Where can you participate and share - locally, nationally, globally? This week we will explore capturing voice messages and how this can link to global teaching and learning. Elements of this investigation will apply to your awareness of the global teaching and learning community. Explore and discover a place for yourself in the global, digital environment. As we begin, think about the world as your classroom. Open the digital doors and windows to let in the world and connect out to the world. Through your digital portal, not only YOU can benefit, but your students will also learn in a global context. Within Canadian schools, there is a growing culture of sharing and connecting with others in global contexts. Often this is done in relation to social justice issues or as the result of character education. TakingITGlobal is one source for educators to connect to global contexts. iEARN focuses on connecting students to global contexts for specific projects. By connecting learning to the topic of social justice you, as the teacher, can shape and inform students on their rights and responsibilities as a digital citizen. Finding one project for YOU or your students is a click away. Here is one that has local impact. 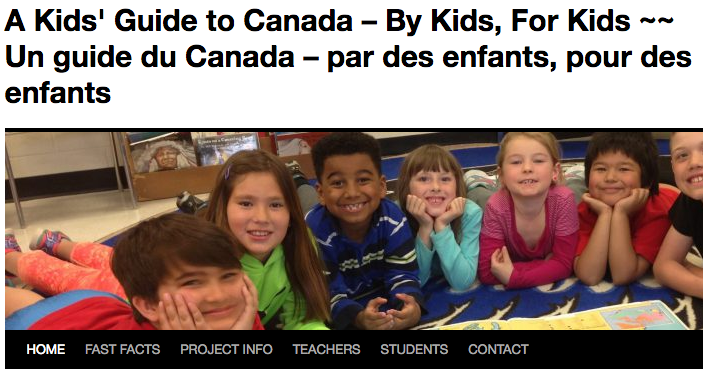 We can also take a look at a national project to celebrate Canada's 150 Anniversary - A Kids Guide to Canada. This project is one that will connect students across the country to build cultural awareness and empathy. This one is active and current, from reliable and trusted sources and the purpose is a positive one. Wikwemikong First Nation School Take Part in #CraftReconciliation Challenge - A project using Minecraft to shape conversations about reconciliation (hear a podcast to explore this project).